- we also include some game based activities. - soils listing including a link to photos of each soil. - Soil Records in Acrobat PDF format for offline use. 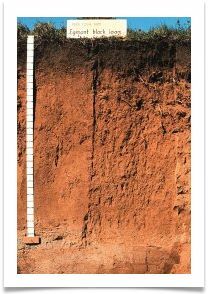 This web site is a visual introduction to soil, how they differ, their importance and distribution. Examples of New Zealand soils are presented along with pictures and interactive activities. 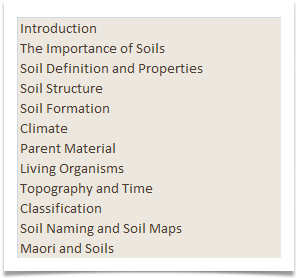 Methods for describing soil features and the New Zealand soil classification are introduced. The site is not intended to give the user detailed knowledge, but will provide the key knowledge, information and tools to be able to understand, describe and classify a soil. It is intended to show the variety and array of New Zealand soil types and the various aspects which make them interesting and fun. To access topics, click on the drop-down menu(above), or select from the menu items. You can also move through topics using the Next and Previous links in the page footer. 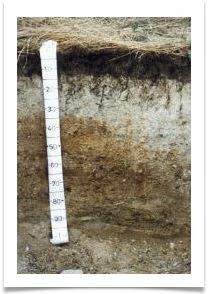 The Basics Of Soils covers some of the various features and facits of soil in general, its' importance and formation. This topic provides for a basic coverage of soils and can be followed for some more in-depth topics in Understanding Soils and Describing Soils. We briefly examine the old age issue of need to know. 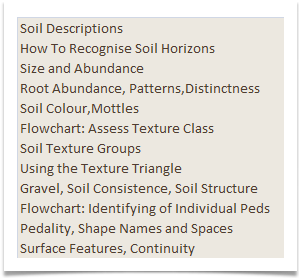 Basic features and identifying different soils are covered to allow you to understand their commonality as well as differences. Learn about the methods for describing soils that supports the soil scientist in communicating and identifying about soils. 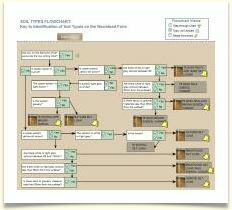 We provide some powerful and unique interactive tools through the use of flowcharts to help in defining a soil and make the texture triangle interactive to gain an understanding of the relationship of classes and groups defined from their base of Silt, Clay and Sand. The Farm Survey provide you with a practical example of identifying and mapping the soils of an area of land. This survey is interesting in that it also shows that there can be many types of soils within the one area, which then would require soil management appropriate to each of the soil types. Regional Soils provides you with soil details for each soil type throughout New Zealand. 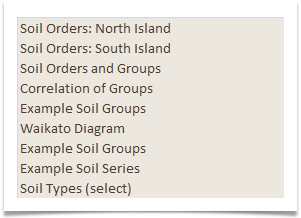 This topic provides core data resources including the soils records that you can sort into region, type and claissfication. This site has been created and is managed by the Soils Division, Waikato Regional Council. For information about Soils Services, refer to the Waikato Regional Council: Soil Services. 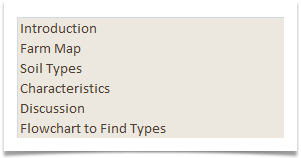 Continue with the topic using the Main Dropdown Menu or use the Next Topic Navigation. This web site went live in June 2011. We are proud to present you with a web site full of resources, information and knowledge about an important resource of this country. Knowledge and understanding of soils helps to improve our lives, and maintain sustainability. We hope that this site will help you to do that.